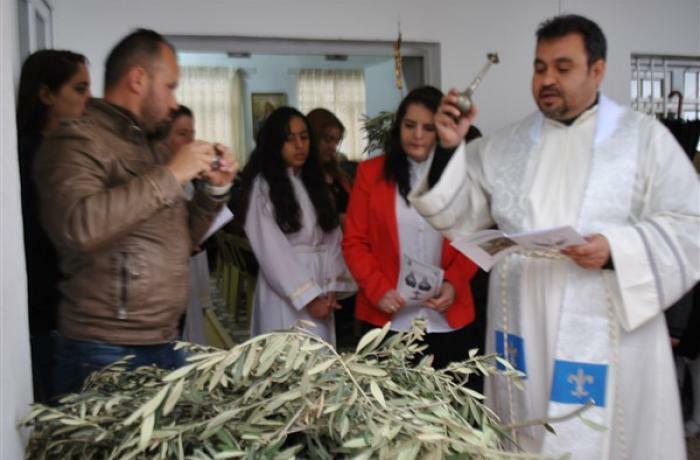 Enishke (AsiaNews) – Refugees from Mosul and the Nineveh Plain are preparing to celebrate their fifth Easter in Iraqi Kurdistan, away from home, said Fr Samir Youssef, pastor in the Diocese of Amadiya talking about the seasonal atmosphere. In recent years, the clergyman has helped thousands of Christians, Muslims and Yazidis who fled the Islamic State group in the summer of 2014. For them, now it is a time to get ready for the Way of the Cross, to pray as well as hold study sessions to discuss fasting "which is not only abstinence from meat" but also "rejecting evil". A church bazaar is planned to show solidarity to the poor, with donated food, clothing and drugs at reduced price. "We are doing well,” Fr Samir said, “although in this last period it has rained a lot and there have been floods even in Iraqi Kurdistan". The same weather has affected neighbouring Iran, causing major damages. The weather should improve for Holy Week though, which would allow the clergyman to organise a three-day bazaar in front of his church, Mart Shmony, in Enishke. "With the money from our benefactors, including AsiaNews and PIME, we bought food and drugs. In next days, we will sell them at half price to poorer families, who cannot go to the city or do not have enough money." "On behalf of my parish and myself I would like to thank the director of AsiaNews and, through you, the PIME Foundation for the 10,000 euros you sent, for your support and for all you have done for us." Given the fact that some families “chose stay here with us, this has created a pressing problem in education because of a lack of schools." In addition to the charitable initiatives, Easter preparations include moments of prayer, catechism, the Way of the Cross, fasting "which is not only abstaining from food, but also being hungry and thirsty for the word of God, living it and practising it". Before Palm Sunday Mass, there will be a procession, "if time permits, starting outside the church, with the children leading the way with palms and olive branches, together with the cross, singing psalms and chanting Hosanna". "For those who fled the Islamic State, this is the fifth Easter away from home. And lest we forget, we must remember those who escaped from Baghdad in 2006 during the first wave of anti-Christian violence,” said Fr Samir. The extremist mindset that favoured the rise of the Islamic State, is "still present" and the situation "is not really safe,” he said. “Only yesterday there were two explosions in Mosul". For the clergyman, political instability in the Middle Eastern is another issue. Talks about "ever-stronger winds of war blowing against Iran (from the United States, Israel and Saudi Arabia) are a source of fear”. Hence, "praying for peace at this time of celebration is even more important".